Spectators are necessary for any artworks to exist. In other words, artworks must be received by someone. Therefore, all works must be made for “receivers”. 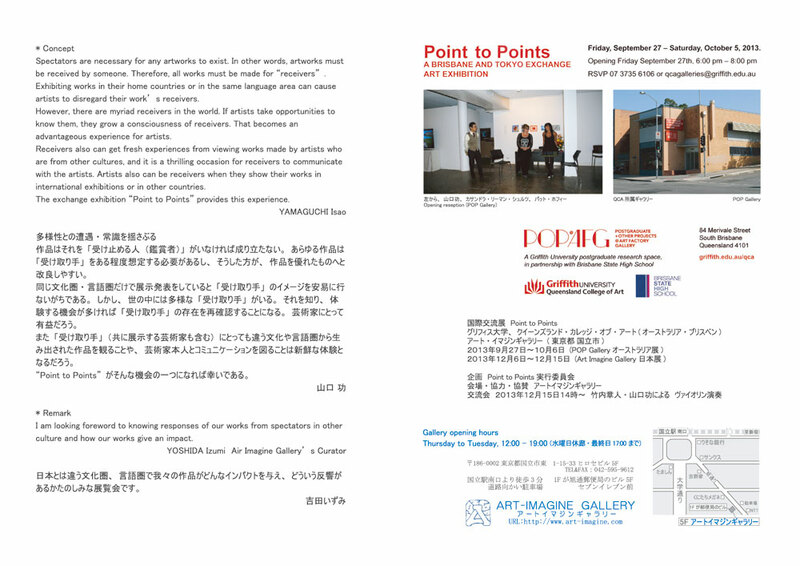 Exhibiting works in their home countries or in the same language area can cause artists to disregard their work’s receivers. However, there are myriad receivers in the world. If artists take opportunities to know them, they grow a consciousness of receivers. That becomes an advantageous experience for artists. Receivers also can get fresh experiences from viewing works made by artists who are from other cultures, and it is a thrilling occasion for receivers to communicate with the artists. Artists also can be receivers when they show their works in international exhibitions or in other countries. 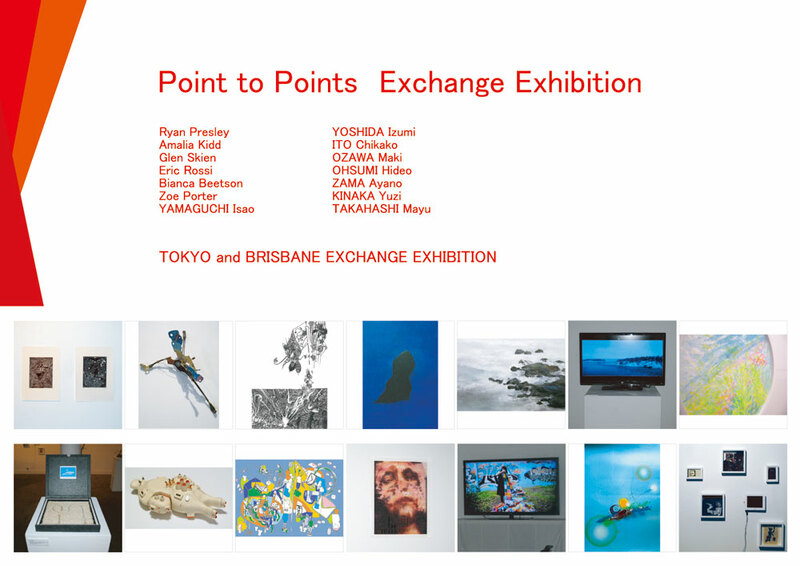 The exchange exhibition “Point to Points” provides this experience.